Any time ERA visits a new city, we’re never quite sure what to expect. There’s usually a mix of fun surprises with some frustrating moments, but in the end, we always leave having made some great new friends within the escape room industry. So when members from our Denver and Toronto ERA teams combined for a trip in Boston, we were excited to see what a 4-day weekend adventure was going to reveal! The third company on our whirlwind tour was 8D Escape Rooms & Board Game café. It’s a smaller venue located almost directly behind Boda Borg on the same city block. This made their location both convenient and easy to find because we were already in the neighbourhood. Even if we weren’t, we’re fairly confident it would be easy to locate. Parking is limited to city streets and lots, but weekend rates can range from free to moderate pricing, so keep your eyes open for options. Once inside we immediately noticed the lobby is set up for board games and light refreshments. About four mid-sized tables with 4-5 seats around each revealed board gaming was equally important to 8D as their escape rooms were. Three shelving units full with games ranging from classics like Settlers of Catan to more involved games like Arkham Horror provided a good selection. 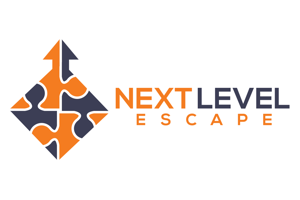 Typically a company’s pre-room score is the lowest part of their overall on our site because most choose to use extra budget on upgraded rooms rather than what happens before their escape rooms. In the case of 8D however, the pre-room experience was the selling point. From board games, to the friendliness of the staff, right down to the highly animated intro from our game master. To say we simply enjoyed our interaction with our game master would be an understatement, and we’re hoping 8D manages to find a way of using more of that energy. As you could guess, Mission Z was off to a great start. The room quality was a bit of a different story. It was a hodgepodge of new and impressive technology, mixed with older tech and room design. Several of the set designs were bare with only the puzzles added into the room, which again gave it a feeling of being an older style game you’d commonly have seen three years ago. We didn’t really have any issues with the quality of the materials used, but the choice of props was a bit odd at times. In the end the best way we could describe it is to say it’s a first generation style escape room experience with one or two bits of third generation thrown in. Our team pretty much agreed about the immersion in this room. Thanks to some impressive changes in atmosphere, lighting, and set design from room to room, Mission Z has the potential of being a good immersive experience. What’s notably missing is story development tying all of the game’s design features together. There’s a loose association between the puzzles, set design, and story, but it wasn’t enough to remind or inspire of our mission and by the end we had completely forgotten the purpose of the game. We spoke with one of the owners afterwards to stress the importance of developing story through atmosphere, set design, props, and information gained while in the room. Good story development is ultimately what keeps players engaged from start to finish, and the reason why we continue to talk about it. Thankfully we’re starting to see more companies understand why ERA has been saying this for the past several years, but there’s still a long way to go. As for puzzles, we felt Mission Z had a nice mix of challenging and straight forward puzzles. There was also a good amount and variety of puzzles in the game so we never had a lot of downtime which is great. Where the puzzles could be slightly improved upon is their connection to the story, and in the amount of team building puzzles used. We still see most companies being confused on the difference between ‘inclusive’ puzzles (where multiple people can help one person solve something) and ‘team building’ puzzles (where multiple people are required to solve the puzzle). Again, the industry is slowly starting to understand these differences and the important use of team building puzzles, but there’s still an absence in most escape rooms. Overall we agreed there were enough strengths and things that could be improved upon to say this was a good, average, experience for puzzlers to be happy in the end. But of course the ultimate questions remain: Did we have fun and would we recommend this room? As the old expression goes ‘The devil is in the details’; in other words, context really matters. We did enjoy parts of Mission Z. The room introduction by our game master really set the tone, and we enjoyed the different atmosphere in each of the rooms. At the same time, the first generation feel of the game combined with the lack of story development and barren interior design wasn’t our preference. If you’re an experienced escape room enthusiast, chances are you’ll feel the same. However, Mission Z is well suited for other types of groups. 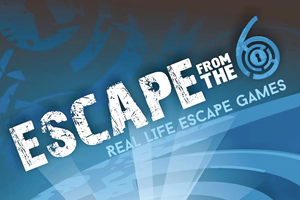 We would recommend this game for those who haven’t done too many escape rooms, or for groups that have one or two puzzle enthusiasts partnered with younger or inexperienced players. We’d suggest a group size of four to six depending on the level of engagement you want in the game while being mindful most of the puzzles are designed to be solved by one or two people at a time. The good news is that after playing Mission Z, we had a lengthy conversation with one of the owners at 8D and he was very humble, easy to talk to, and loved taking suggestions for improvements on the game. This left us confident that many of the little things discussed in this review may have already been changed which makes us eager to go back and visit them sometime.